Since its inception in 1988, the USDA's Sustainable Agriculture Research and Education (SARE) program has helped advance farming systems that are profitable, environmentally sound and good for communities through a nationwide research and education grants program. This nicely organized website presents a wide array of information and resources for farmers, ranchers, educators, researchers, and consumers interested in sustainable agriculture. Agriculturalists and others will be interested to learn more about SARE grant guidelines, and to peruse reports for approximately 2,500 previously funded projects. 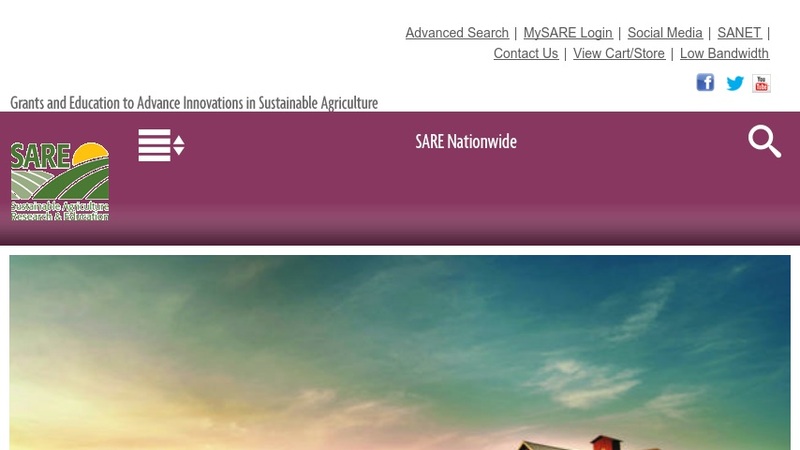 SARE posts upcoming events; and maintains an online collection of books, bulletins, and other resources through the Sustainable Agriculture Network. There is also a nice section for Educators that includes publications, video clips, and curriculum guides.